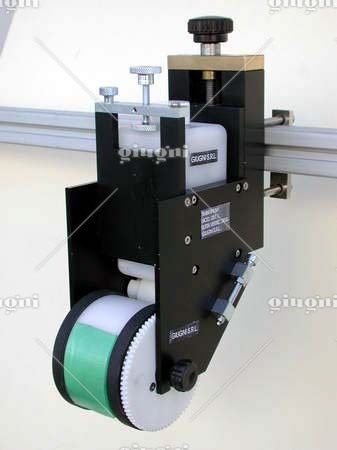 Maximum printing area: 251 x 35 mm. 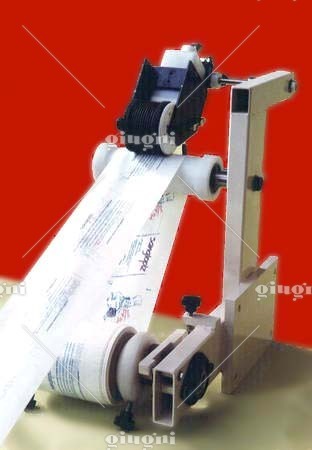 Notes: designed to code on packing materials and particularly on wrapping materials. 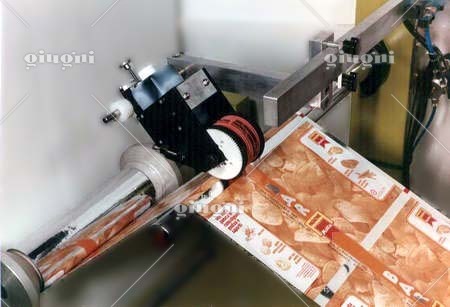 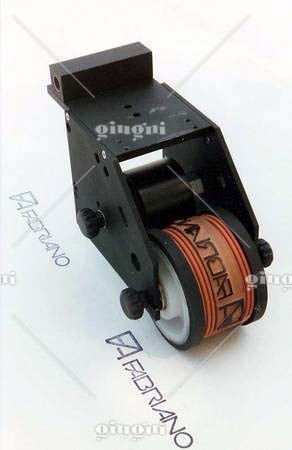 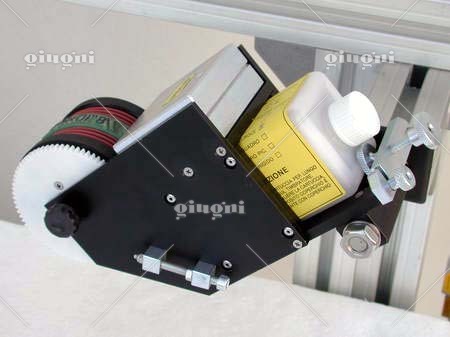 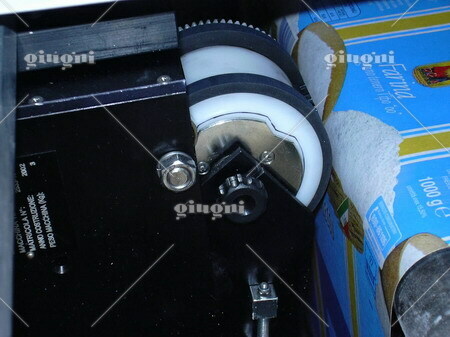 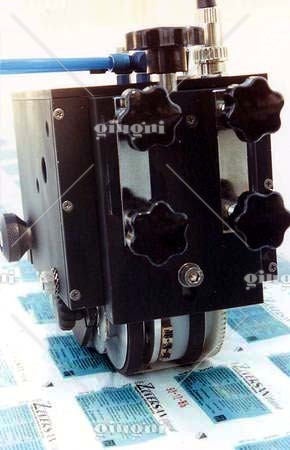 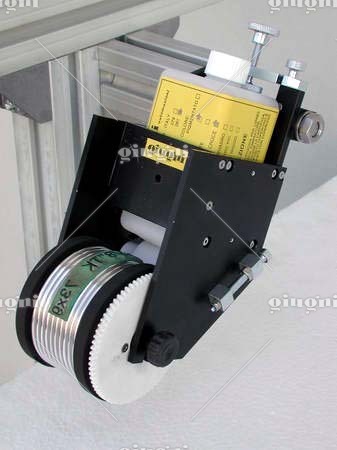 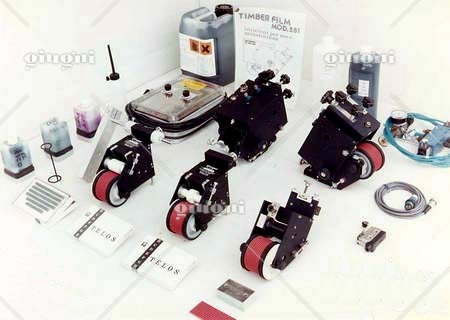 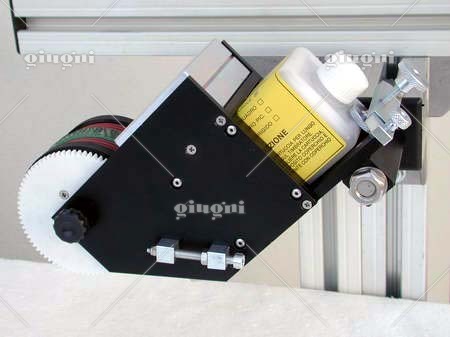 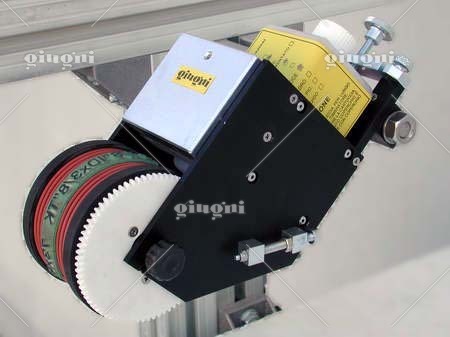 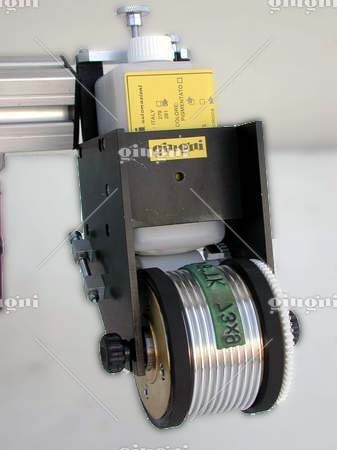 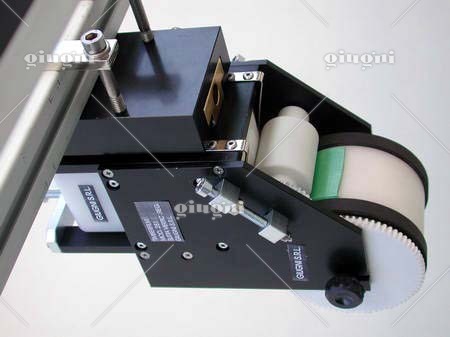 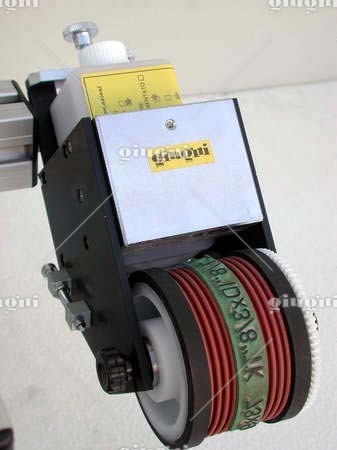 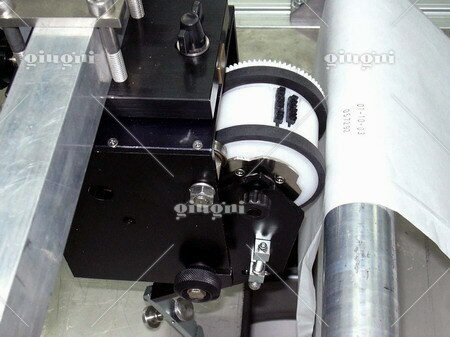 Film-Coder 281 is suitable for continuous coding on films and on wrapping materials. 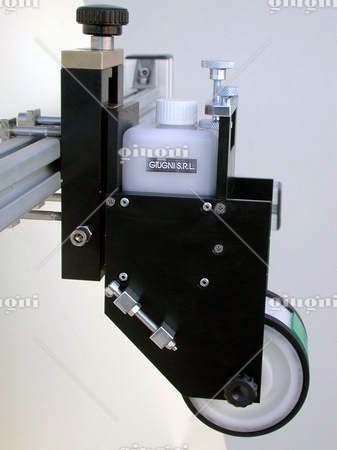 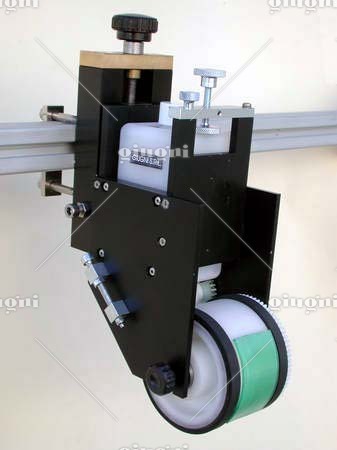 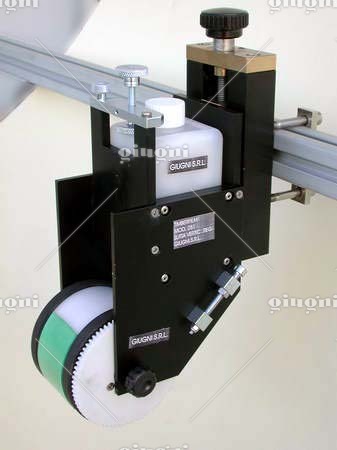 It can also be used for printing flat rigid surfaces. 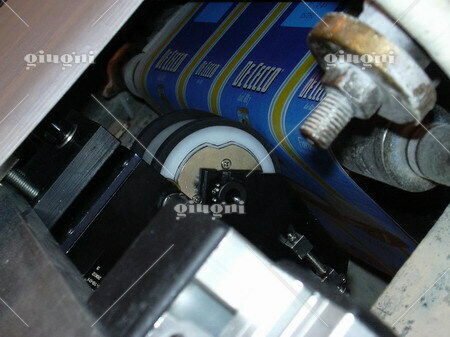 Indirect inking by rubber types and refillable cartridge, with which it is possible to use rapid inks. 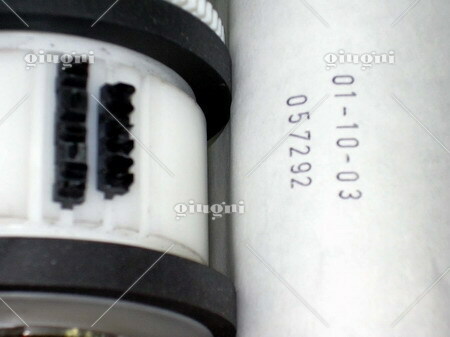 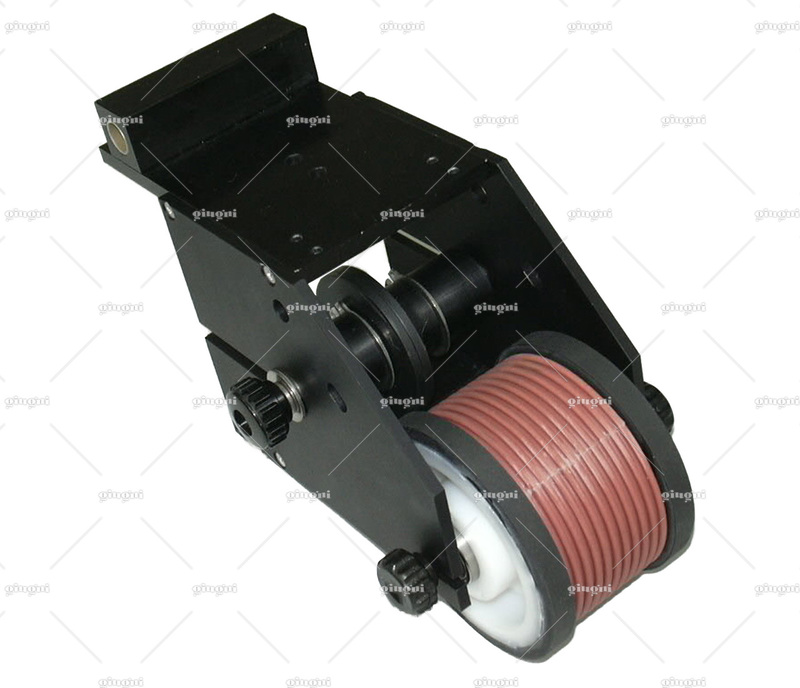 The type-holder is very easy to remove and it can be made of grooved rubber or of aluminium rings for a better and more precise types fixing. 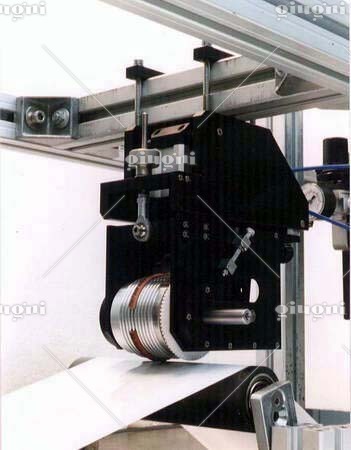 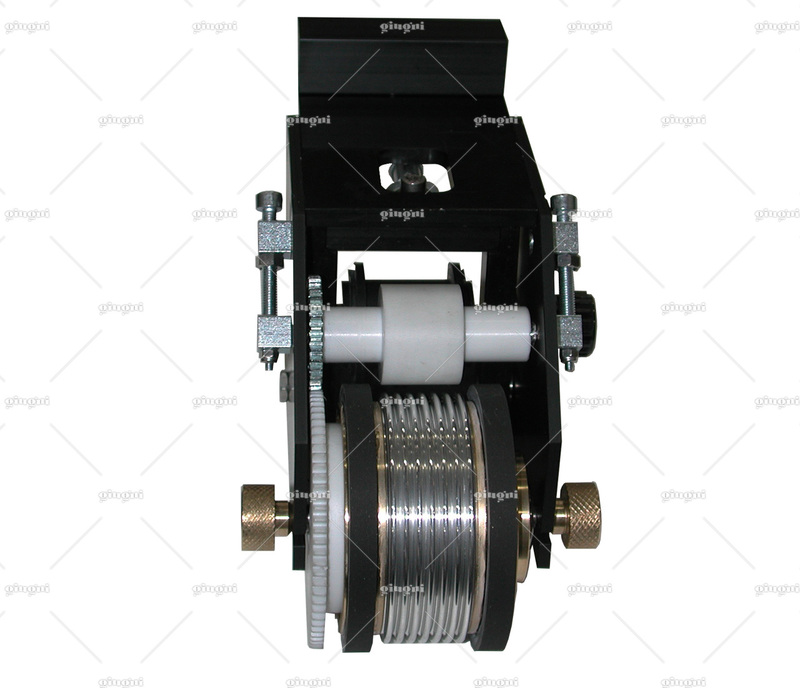 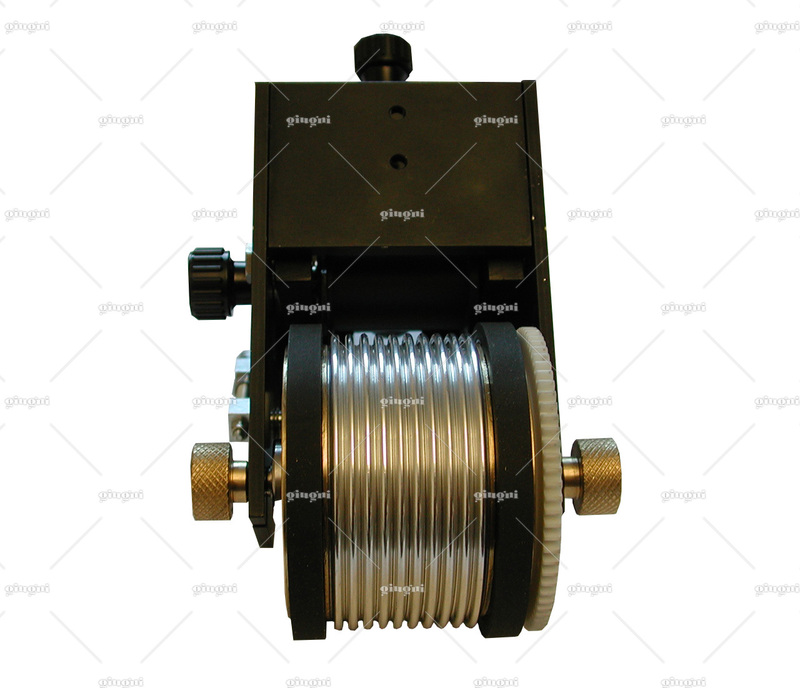 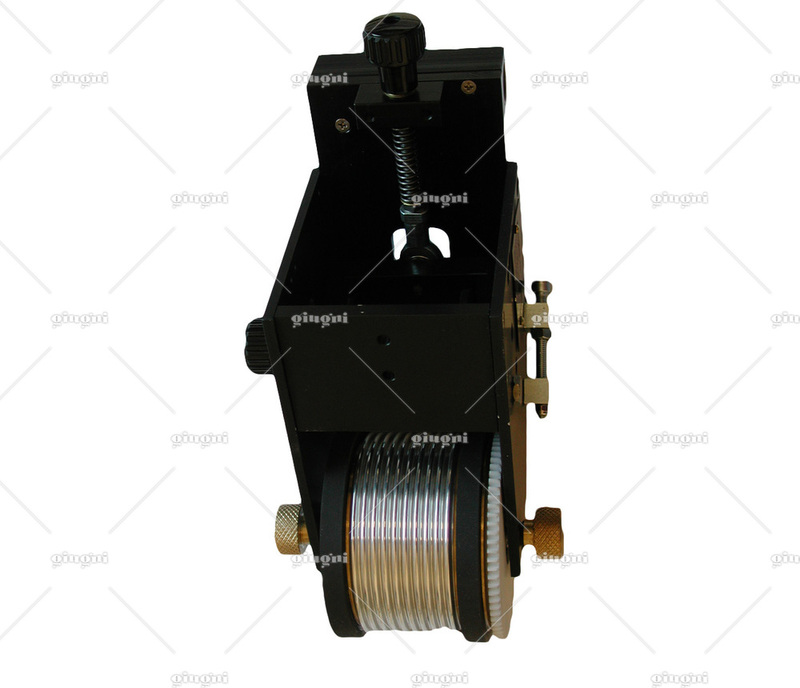 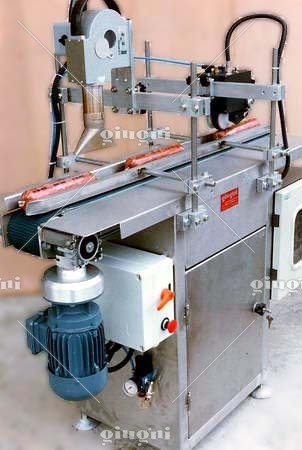 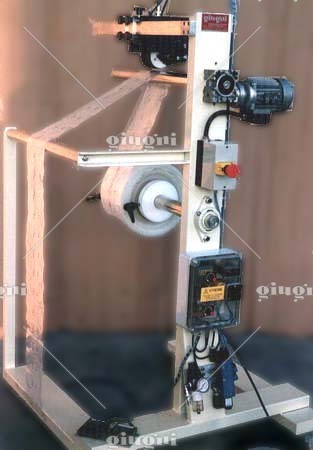 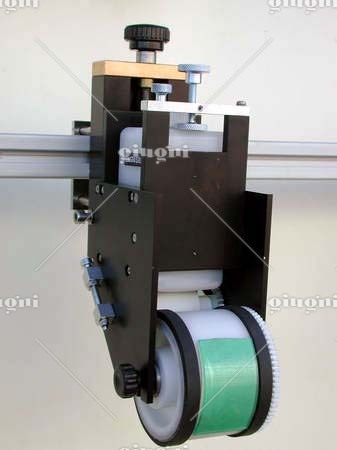 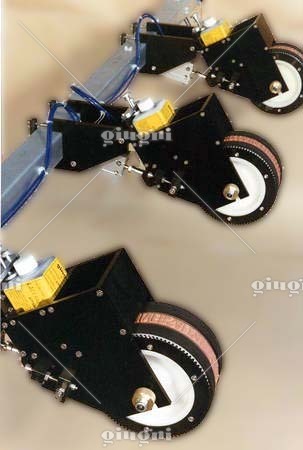 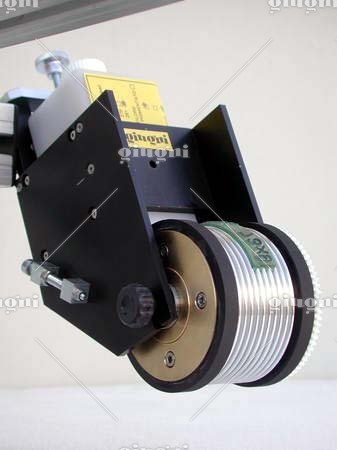 This coder is driven by the contact of its drum with the moving material to be coded.